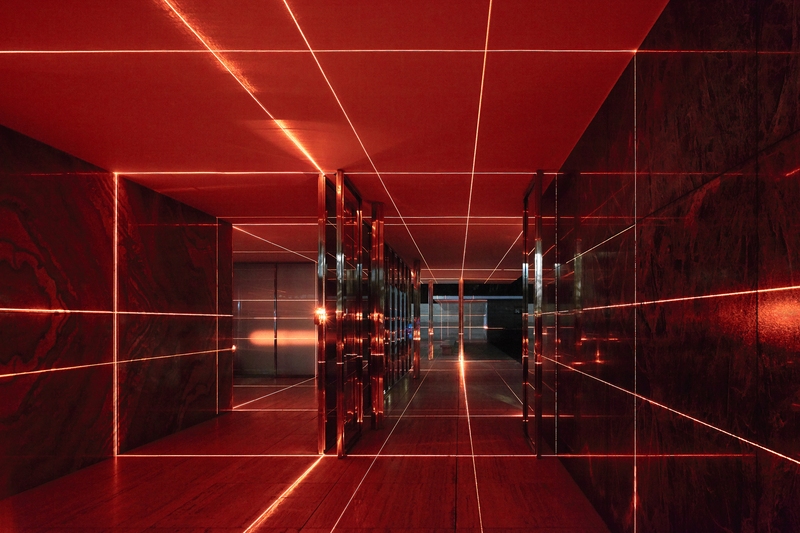 The Fundació Mies van der Rohe and MAS Context are pleased to announce Geometry of Light, an art intervention by Luftwerk in collaboration with Iker Gil that will take place at the Barcelona Pavilion, February 10-17, 2019 as part of their ongoing program of artistic interventions. Geometry of Light is an immersive intervention at the Barcelona Pavilion envisioned as a contemporary lens for this important masterpiece, highlighting and expanding upon the architectural and material features of this structure. In concert with the projected light and patterns, a custom-designed sound piece by Oriol Tarragó is integral to this experience.